Crack the Funding Code demystifies the world of angel investing, venture capital, and corporate funding and lays out a strategic pathway for any entrepreneur to secure funding fast. Lack of funding is one of the biggest reasons small businesses fail. In 2016 in the United States alone, more than 31 percent of small business owners reported that they could not access adequate capital, and the lack of capital prevented them from growing the business/expanding operations, increasing inventory, or financing increased sales. Most business owners believe that their only feasible funding options are (1) savings or personal credit, (2) friends and family or (3) bank loans. They may have heard about venture capitalists or angel investors, but they don't have enough information about what these investors do, what they can provide for a business, and on what terms. What's worse, entrepreneurs often don't know how to access the people who are looking to put their money into young companies with potential. Finally, business owners don't have enough expertise to navigate the treacherous waters of outside funding. Many small companies don't believe they are the type of company that gets funded. Even when business owners are brave enough to look for the right outside investors, they don't know how to create the compelling pitches or how to structure the deals that will get them the funding to expand and grow. 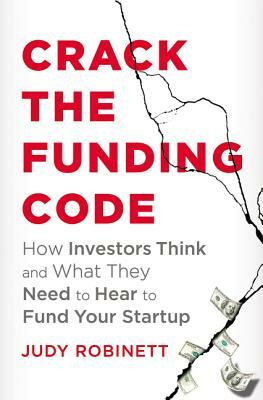 Crack the Funding Code will show readers how to find the money, create pitches that attract investors, and then structure fair, ethical deals that will bring them new sources of outside capital and invaluable professional advice. It will give readers the broader perspective--how funding works, how investors think, and what they need to hear to put their money where your mouth is. Every entrepreneur who reads this book will get easy-to-follow deal checklists, a roadmap of where and how to locate the best funding resources and top business mentors for their particular industry and/or geographical location, and a step-by-step process to create pitches that make their idea or business irresistible.